In this story of hidden magic and forbidden love, the King's Rider Justin befriends Ellynor, a young novice at a convent-only to discover that she is a mystic being manipulated by the fanatical Daughters of the Pale Moon into hunting down and killing other mystics. It was a good book! 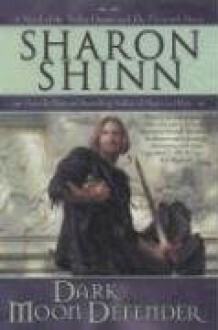 It made me feel all Sharon Shinn is awesome and I love the pacing of the audio books.